We’re proud, but it’s just the start. Our team’s daily obsession is to develop the most comprehensive, informative and easy to use comparison of a range of travel products. From car hire to airport parking, we want to give you more bang for your buck when you travel. 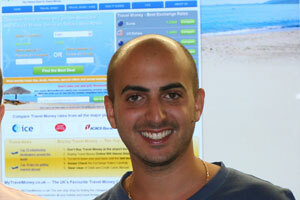 Daniel has previous experience in helping to build successful online start-ups in the foreign exchange space. Daniel graduated with 1st class honours in International Management from the University of Manchester. In his spare time, Daniel loves travelling, spending time with his family and getting to West Ham United FC matches (for his sins). Stevan has experience in helping build two startups as their first hires. 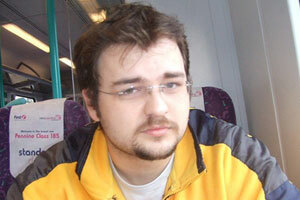 At OneMove.com for example, Stevan managed the IT strategy and saw the company through an IPO. Stevan loves his Formula 1, and dreams of going to see a live race someday. The unwavering pursuit of user delight and experience is what keeps Phil up in the morning. Oh, and an ice cream from Anita's in Tel Aviv. From twitter to journo outreach, Suzi is our roving ambassador. We love having this smiley go-getter on board! Our awesome community manager, queen of buzz and marvelously authentic Scottish accent. When it comes to whipping up some sweet new features for the site, Milos makes sure they're all well oiled and flow like milk!